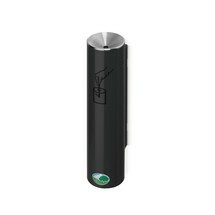 The ashtrays for wall installation make it possible to dispose of cigarettes without stubbing them out. The dense inner liner guarantees that the embers are quickly extinguished. 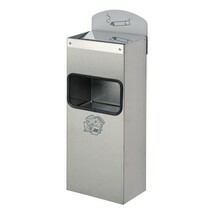 The VAR® wall ashtray, combi model offers you a waste bin with integrated ashtray. 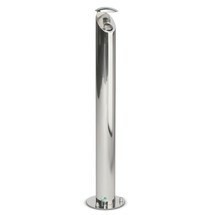 It is made of brushed stainless steel and is therefore weather-resistant and suitable for use both indoors and outdoors. 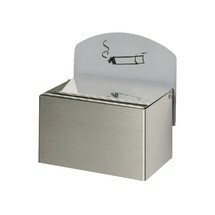 The VAR® wall ashtray, stainless steel is robust and weather-resistant, making it suitable for use outside. It is available in different sizes and is designed to be attached to walls.